Watch as the ball travels through tubes, pipes and chutes – now you see it, now you don’t. 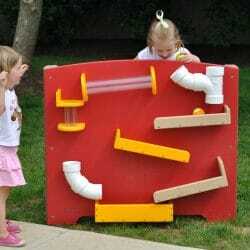 Incorporating a Tracking Panel into your outdoor preschool playground allows children to observe and demonstrate directional words—in, out, on, off, here, there, beside, next to and between. They can visually track the object as it goes fast, faster and slower. 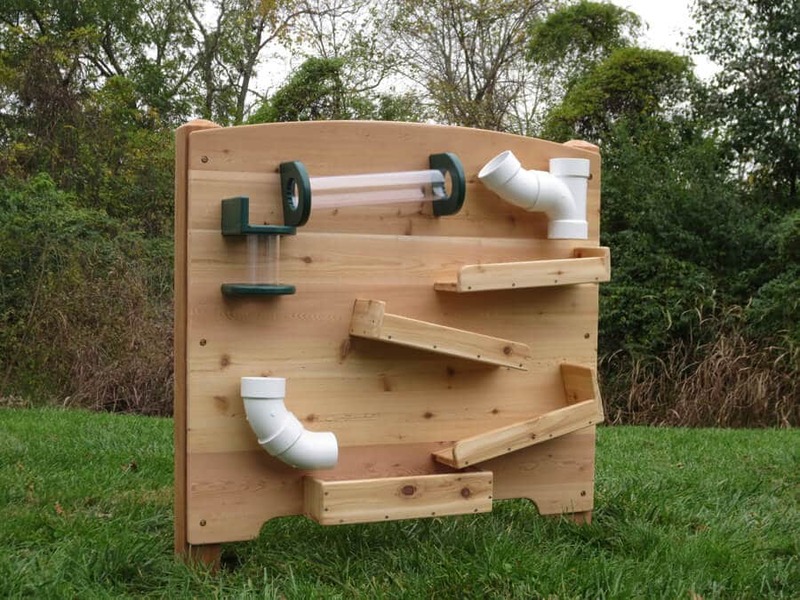 This outdoor learning equipment is designed for use with a tennis ball but children can use Matchbox cars, ping-pong balls and other objects found in the outdoor classroom. When children use a variety of objects and compare the speed of travel, they learn about physical properties and cause and effect. 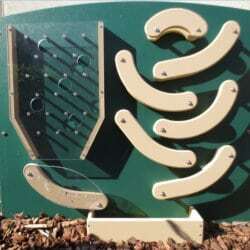 The Tracking Panel is available in cedar for your natural playground or maintenance-free plastic.